Disney is re-releasing Cinderella this fall, and in a brilliant marketing move, they asked famed shoe designer Christian Louboutin to create one of the most famous fairytale plot icons in history… the glass slipper. 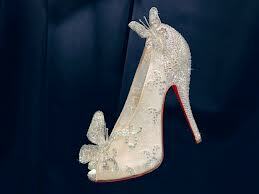 His gorgeous creation is made not of glass, but of lace. 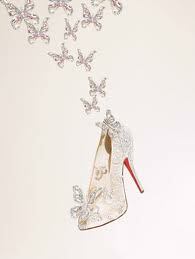 Instead, Louboutin used lace to give the illusion of transparency, paired with a glittering, Swarovski-crystal-covered heel. He then added butterflies, imagining a modern-day Cinderella tending to her chores and the delicate creature landing on her. 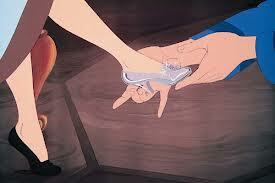 This is such brilliant marketing because our embrace of postmodernism has sort of tainted the appeal of Cinderella. It carries the stigma of being a movie just about the Prince rescuing the damsel. Damsels don’t want to be rescued anymore. They want their sense of self to be about who they are on their own 2 feet, not about what guy has picked them from amongst a bunch of ugly, mean girls. Love, pure love, seems so unattainable at times. Love is patient, love is kind, it does not envy, it does not boast, it is not proud. It does not dishonor others, it is not self-seeking, it is not easily angered, it keeps no record of wrongs. Love does not delight in evil but rejoices with truth. It always protects, always trusts, always hopes, always perseveres. And, it is possible. 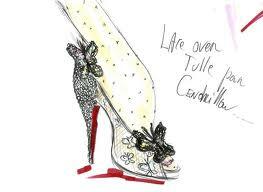 Here is the Louboutin sketch. 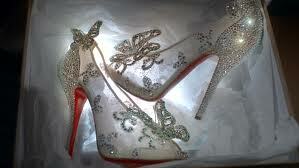 Here is the final pair. Only 20 pairs will be given out worldwide. 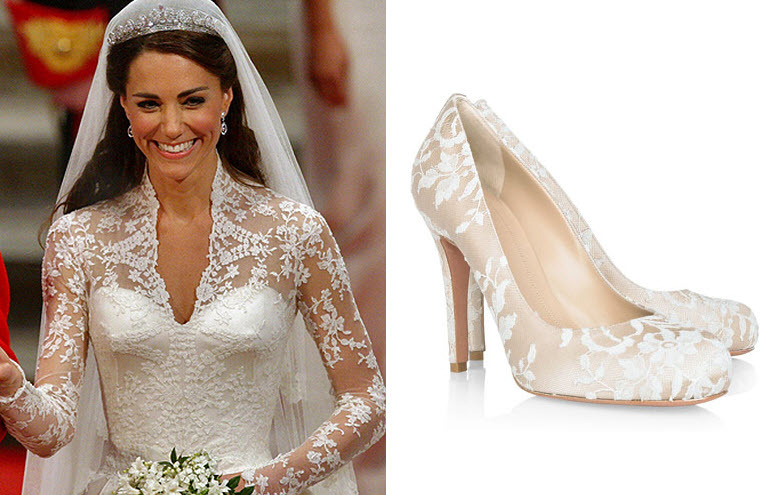 Kate’s wedding shoe for comparison. This entry was posted in celebrity profiles, fashion history, inspiration, spirituality and tagged Cinderella, dreams, Louboutin, love, movies, postmodernism, statement shoe. Bookmark the permalink.